A Burst of Juicy Colour on a Miserable Day. 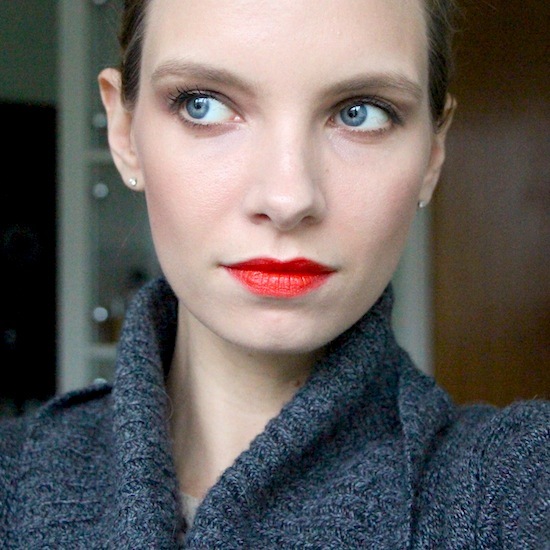 Oh, could this Clarins Rouge Eclat lipstick be any more cheery for these dark and gloomy days? I’ve been wearing it as a humorous little flash of colour against my daily “anti-coldness uniform” of dark jeans and grey polo neck. 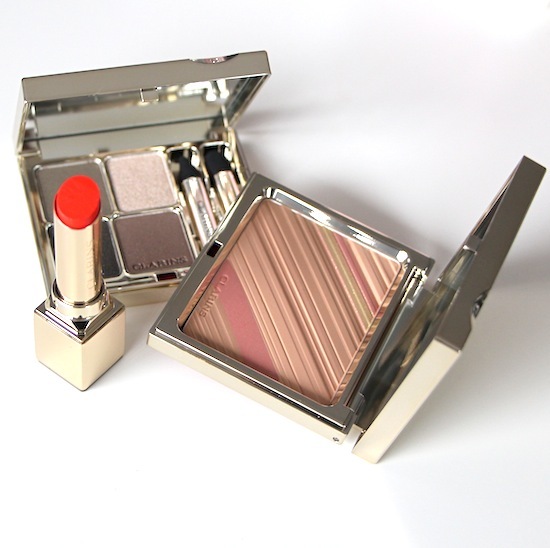 The shade is Juicy Clementine, the texture is juicy indeed – it feels incredibly moisturising and fresh. Look at that colour! I can’t get enough of it. It’s almost neon in its brightness! (Modelled here with aforementioned grey polo and scraped back hair.) It’s priced at £18.50 at Clarins.co.uk but a few quid cheaper at Escentual.com – get it before it goes! I think that this is one of those all-year-round orangey-reds that looks just as at home on sunkissed skin as it does on the more pale and interesting. A nice investment. Next Post Eau de Totally Swish.